Hot on the heels of the TUC congress unanimously adopting the pioneering new policy of a guaranteed minimum 16-hour working week – instead of the abomination of zero and short-hours contracts – so too has the Labour Party conference, in a composite Motion on In-Work Poverty, moved by my union Usdaw, seconded by the GMB. If acted upon, this could be a lifeline to millions of workers subjected to insecure, low-paid jobs, dependency on foodbanks, and mounting mental ill-health. 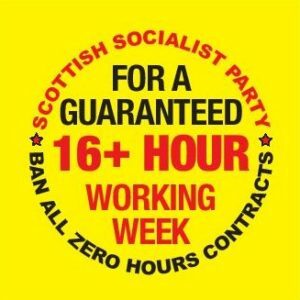 So it’s immensely welcome that the Corbyn-led Labour conference has overwhelmingly agreed a policy pioneered and spearheaded by socialists outside Labour – specifically, the SSP!! 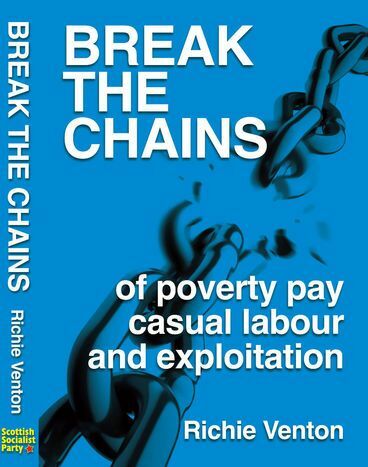 in my book, Break the Chains, published in December 2015, I first proposed this new idea of a guaranteed minimum week for all workers who want it; 16 hours, to match criteria for Working Tax Credit, Statutory Sick Pay, and employers’ NIC contributions. in 2016, this was unanimously agreed as SSP policy, and then fought for on the streets and in our unions. in April 2018, I proposed this policy on behalf of Glasgow no 1 Usdaw branch at Usdaw national conference (ADM), winning unanimous support from nearly 1,000 delegates. as a newly elected Usdaw Executive Council member, I combined with others to argue for rapid implementation of the 16-hour policy, in tandem with the 4-year-old policy of a £10 minimum wage (NOT seriously acted upon up until now!). That included pushing for it to be advanced by Usdaw as policy at the TUC, Labour conferences… and likewise in other parties. The result? 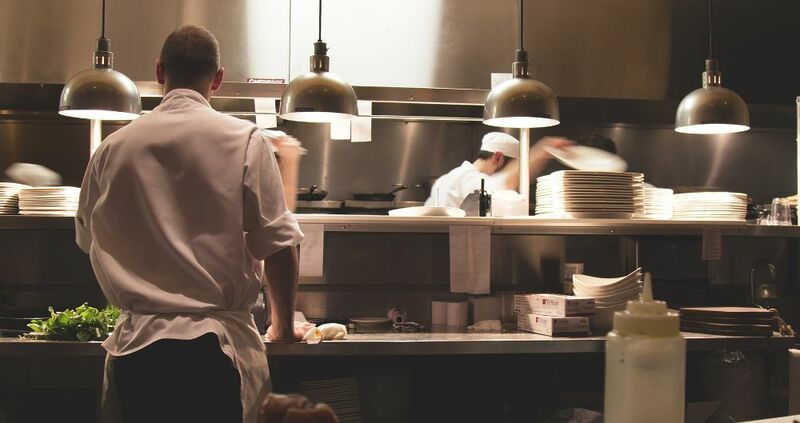 Usdaw has now launched the major ‘Time For Better Pay’ campaign, with these demands at its core, winning support at both the TUC and Labour conferences. I can’t resist a wry smile at this brilliant news, especially as it comes from Labour’s Liverpool-held conference. 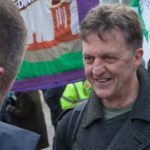 Back in 1986, I and eight other socialist leaders in Liverpool were expelled from the Labour party by the insufferable windbag, Neil Kinnock – for the crime of being far too successful at mobilising the Merseyside working class, defeating Maggie Thatcher’s Tory government, winning massive concessions in government funding to build council houses and create thousands of jobs. And winning record votes for socialists in Liverpool elections, whilst Kinnock displayed an unrivalled ability to lose elections and leave the Tories in office to assault the working class. I remember saying at the time that they might succeed in expelling socialists from the Labour party, but they couldn’t expel us from the wider labour movement or the working class. It’s taken a while, but it’s quite gratifying to see that prediction proven. And it’s a perfect 20th birthday present for the SSP; courageous, principled socialists organised OUTSIDE Labour have been instrumental in committing Labour to a policy that could transform many workers’ lives – in a fashion Scottish Labour’s ‘left’ never managed to do. We now look forward to uniting in action with fellow-trade unionists, both inside and outwith Labour, to force through the implementation of this far-reaching policy, to give workers a bit of security and control over their working lives.